With the Supreme Court paving the way for the legalization of sports gambling last month, sports leagues and teams have quietly dropped their longstanding opposition to gambling and have a new question: How can we get a cut? It would seem they’re S.O.L. on this one. The leagues argue the games are their intellectual property, but two major court decisions show otherwise. Lawyer Marc Edelman writes at Forbes that two court cases, NBA v. Motorola and C.B.C. Distribution v. Major League Baseball Advanced Media, have essentially put sports statistics in the public domain. Casinos can offer odds on sports without paying the leagues squat. That hasn’t stopped the leagues from trying. A proposed bill in New York would have, among other things, given the sports leagues an “integrity fee” from every bet, but it failed in part due to that provision. 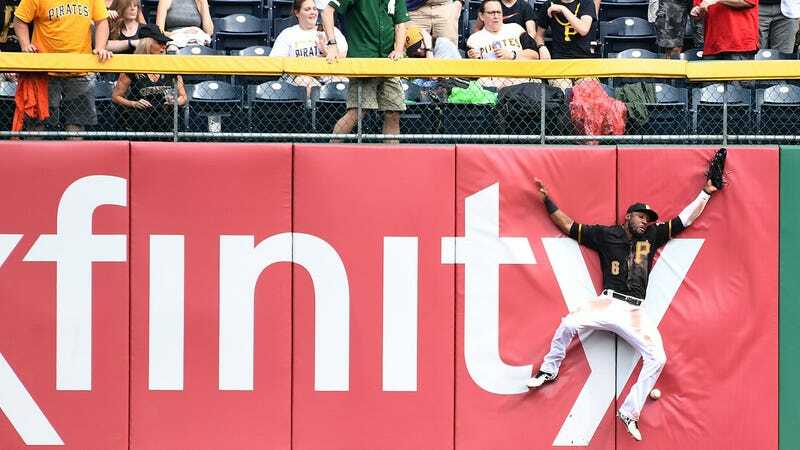 Meanwhile, as Pennsylvania plans to legalize sports gambling, the Pittsburgh Pirates are attempting another tact: They want a cut of the action to fund repairs at their stadium. The Pirates were one of many interested parties who submitted public comment on a proposed sports gambling bill in Pennsylvania. They ran the gamut: Pitt wants a cut of bets, Penn State wants no sports gambling at all, the NFL is opposed to in-game prop wagering, and other leagues want to use “official data” for in-game betting. But the Pirates went all out. Their letter, signed by team president Frank Coonelly, says the team wants a cut of bets to fund stadium expenses. Without professional sports there can be no professional sports betting. Providing a professional sports product is a costly endeavor. While our landlord [the Sports & Exhibition Authority of Pittsburgh] is responsible for capital repair and improvements at PNC Park, the Pirates are responsible for maintenance and operational expenses at PNC Park, which has consistently been named the premier ballpark in the country since its opening in 2001. The capital needs at PNC Park are significant and unfortunately are much higher than the current funds allocated to them by our landlord. We have been engaged in constant dialogue over the past five to seven years with city, county and state officials about the need allocate a funding source to the capital needs of PNC Park. It stands to reason that a portion of the revenue collected from sports wagering should be allocated to the maintenance and capital upkeep of PNC Park and the other sports-based facilities in Pennsylvania which provide for sports wagering in the first place. We are concerned that no such provision is included in the current law or the regulation. The Pirates (and Steelers) have been trying to get the government to fund stadium upgrades for years now. Their previous push was to use money raised by ticket surcharges to fund stadium upgrades. The Pirates paid just $40 million for their baseball stadium, with the remaining chunk of the stadium’s $213 million construction cost coming from public money.